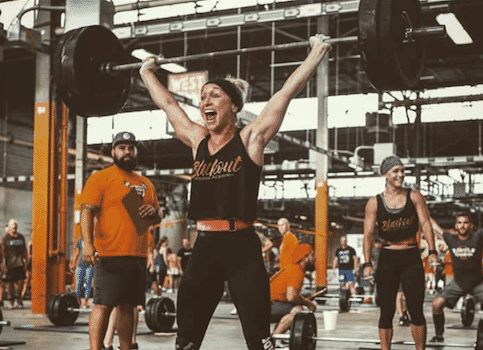 For most athletes in the sport of competitive functional fitness, this week marks the end of their season. It signifies the completion of all they have been working for over the last 12 months. 5 weeks come and gone with a fury. Most of them may be reflecting on what felt like a tornado of events, some completed 2-3 times over a single weekend, a flurry of emotions, ups and downs, highs and lows, here and gone before you could even realize the clock had started. The end. Finito. Now, a week removed, it is important to take some time off, rest, and reflect on how you performed, identifying the major holes in your game, and what can be done to close the gap in 2019. But I ask you, are you reflecting on what could have been done to better prepare in 2018? I see so many athletes with tremendous potential year in and year out, making the decision to train the same way, without a plan, without structure, hoping that simply “working those weaknesses” is all that must occur to make their next season their best yet! Although this is commendable and will often yield considerable results, I ask again, to what degree? Have you ever considered how much better you could be with coaching tailored specifically to you as an individual, and how much growth potential you actually leave on the table every February and March? Are you stagnant in strength and skill development? Do you feel like your age or lifestyle factors may need tweaking or at the very least consideration to maximize progress and efficiency? Did you hit a wall somewhere around week 3? Might your stress profile be out of whack? Was the volume and intensity of your training too poorly managed or not managed at all given consideration to the fact that the testing you are participating in last 5 full weeks, rather than 3? Could you possibly have been over-trained? How will you fix those things? These are real questions and real considerations you need to be thinking about before diving back in for 2019. Preparation is everything. Hard work is highly important, but if hard work is not coupled with proper progression, your preparation might not yield you the return on investment you were hoping for. If you want to BE an athlete, you need to prepare like an athlete. This year put yourself in the best position possible to see what you are truly capable of accomplishing. Marginal improvements each year are great—but how much potential are you leaving on the table year after year. The clock doesn’t stop for you as an aging athlete unfortunately and the time is now to take advantage of maximizing your efforts. Acknowledge where you can be better, prepare accordingly, and if that is difficult for you to manage on your own, find a coach who specializes in doing just that. Get the open score you’ve been working for, and don’t leave 2019 open-ended. OPEX UML is a custom fitness experience designed to inspire purpose, support the client journey, and promote success through world class coaching and forging premium relationships. Schedule your Free Consultation with one of our professional coaches today!